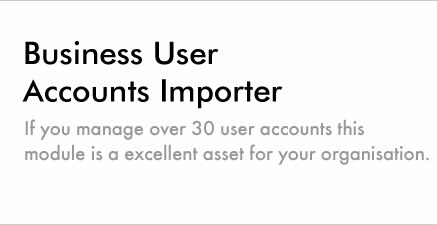 If your organisation has a large number of users, consider the BeeCOS Business User Accounts Importer Module. It will save considerable time when creating User Accounts en masse and includes the ability to define user details and assign membership to unique combinations of user groups. This module has been designed from the ground up to assist large organisations such as Schools, Colleges, Universities, Government Departments and medium to large corporate organisations. Business User Accounts Importer also enables you to effectively synchronise your existing intranet user accounts with those required to facilitate access to your website or extranet. If you manage over 50 user accounts this module is a valid asset for your organisation. 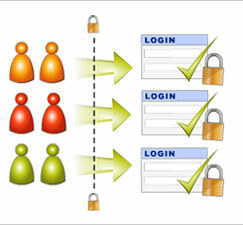 The ability to easily import and update user accounts en masse will save time and reduce cost.